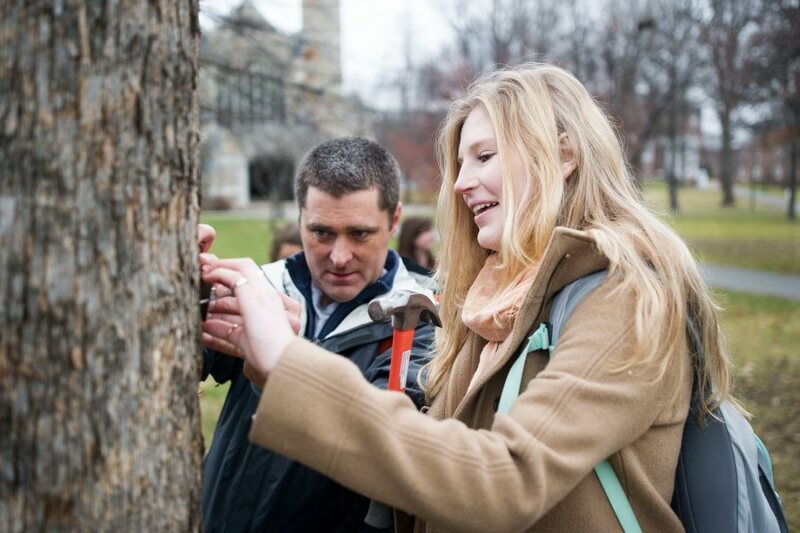 on a select number of trees. 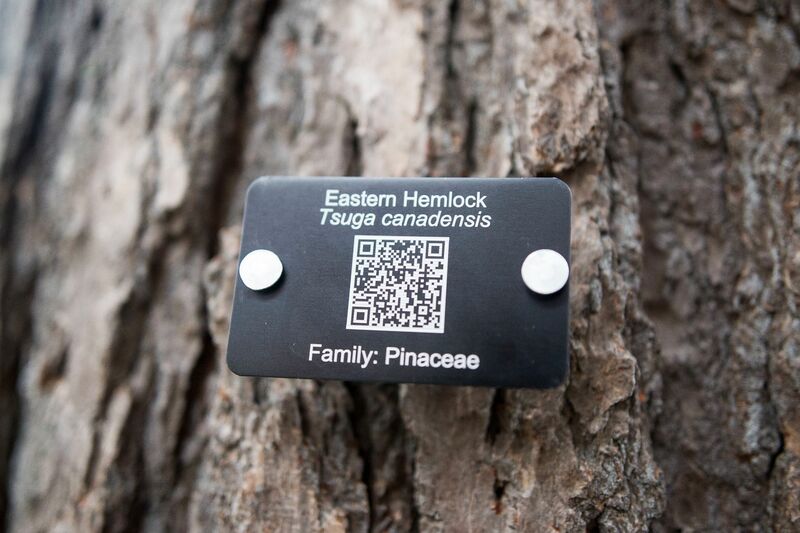 These tags contain the species name and a QR code linking to webpages created by students on the identification and natural history of each tree. QR codes can be scanned with any smartphone enabled with a QR reader app. These apps can be downloaded for free on both IOS and Android devices.